Australia signed up to the Paris Agreement in December 2015 that committed to holding the increase in the global average temperature to well below 2 °C above pre-industrial levels. The USA and China have ratified the Agreement. Australia signed the Agreement in April and is committed to ratifying by the close of 2016. 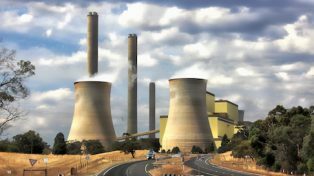 The International Energy Agency’s World Energy Outlook report indicated that if the world’s governments meet this commitment, then the global demand for coal and gas follows a very different path from that contemplated in the 2015 Energy White Paper and in the planning of many Australian resource and energy companies. In this State of Affairs event co-hosted by UQ Energy Initiative and Grattan Institute, a panel of experts presented and discussed with the audience a range of perspectives on what this means for Australia’s economy, its businesses and policy makers. Professor Peta Ashworth is the Chair in Sustainable Energy Futures at The University of Queensland. Peta is internationally acclaimed for her work in community engagement and researching stakeholder perceptions to low emission energy technologies and climate change. 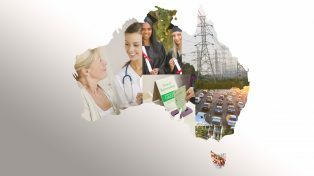 Previously, Peta led CSIRO’s Science into Society Group (SISG) which focused on understanding stakeholder perceptions to areas of national significance to Australia. Peta currently Chairs the IEA’s GHG Social Research Network and is Co-Chair of the Department of Industry, Innovation and Science’s Independent Advisory Panel for the National Radioactive Waste Management Facility. Sandra McCullagh is the Head of Environmental, Social & Governance Research at Credit Suisse. Sandra joined Credit Suisse in 2007 after a long executive career in utilities and oil and gas, having worked for Santos, AGL and Energex, amongst others. 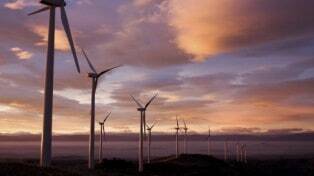 She is a top rated analyst in ESG and previously head of utilities research at Credit Suisse. Sandra writes on a wide range of issues, including stranded assets, carbon impacts, rehabilitation of mining operations and governance issues. She has a B Science, B Arts, MBA and is a Graduate of the Australian Institute of Company Directors. She is a UQ Alumni. Mick Buffier has 35 years’ experience in the Australian coal mining industry. He holds both a Bachelor of Civil Engineering (Hons) and a Master of Business Administration. Mick joined Glencore Coal in 2001 as the Director of Open Cut Operations in NSW, and subsequent to the Xstrata IPO in 2002 was Chief Operating Officer of Xstrata’s NSW coal mining operations. In 2009 he was appointed Group Executive for Sustainable Development and Industry Relations, across the company’s global coal operations, and continues in this role following the merger of Glencore and Xstrata in May 2013. He is a current Director and Deputy Chairman of the NSW Minerals Council, as well as a Ministerial appointee to the NSW Coal Innovation Council. He is a Director of ACALET (Australian Coal Association Low Emission Technologies Pty Ltd) and ANLEC R&D. On an international level, Mick is the current Chairman of the World Coal Association, an Associate of the IEA Coal Industry Advisory Board and a peer reviewer of the IEA World Energy Outlook. David Blowers has been Energy Fellow at the Grattan Institute since 2014. David has extensive experience developing both energy and broader public policy in both Australia and the UK. Prior to joining Grattan, he spent three years working on energy and earth resources policy for the Victorian State Government, where he led the review of the Victorian Energy Efficiency Target scheme.